Are you ready for the 2017 Solar eclipse on August 21st!? Just in case you are not ready we have compiled all of the information you’ll need from a number of credible sources so you are ready! Get ready for August 21st, 2017! Total Solar Eclipse Path video from NASA does a lovely job of showing what you will see and when you will see it! Take a look! For those lucky enough to either live in the path of “totality” or are planning to travel to get there the next question often asked is what will I need to view and photograph safely? If your local library is out and you are lucky enough to find some still for sale make sure they are ISO 12312-2 compliant. Here are a list of approved eclipse filter and glasses vendors the American Astronomical Society recognizes that are ISO compliant. Five ways to safely view the eclipse provides the necessary tips you will need! This video is from the Oregonian. Still no luck? The American Astronomical Society suggests there are a number of ways to view safely! If you can’t get into the path of totality on August 21st. Consider watching it online, Business Insider compiled a list of sources for you! Miloslav Druckmüller is known worldwide as the expert in photographing this rare event and shares his experiences, techniques and equipment used when photographing solar eclipses. From Libya to Mongolia he’s been there and done that – his blog is a terrific resource on how to photograph the solar eclipse. · DO NOT USE A FLASH OF ANY KIND! You will ruin the dark adaptation of everyone’s eyes, and will spoil the show for them all!! · Use a tripod if you have one – if you don’t have one, buy one! · Don’t forget to take some grab shots of the horizon and the crowd going nuts during totality. · Set up a video camera (pointed at the people around you – NOT the sun!) and let it run during totality, so you can always relive the foolish things you screamed during totality! · Change ALL your equipment’s batteries to fresh ones, 30 minutes before totality, so you don’t run out! Clearly solar filters for your camera are a must. Unfortunately if you haven’t ordered your solar filter yet, you are likely out of luck however B&H still had inventory as of writing this article! If on the off chance you don’t have your camera filter yet and don’t want to pay $150+ for one – PetaPixel has an article on How to make one a Solar Eclipse Filter yourself for $15. 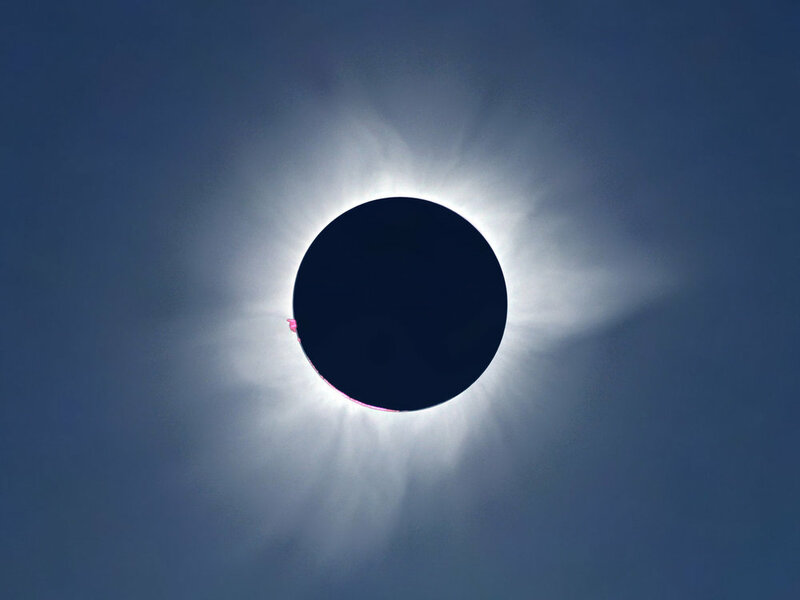 Finally – we found this article from Astononmy.com which details 25 facts about the Solar Eclipse that we thought would make for interesting conversation for those around you experiencing the solar eclipse with you!